The University of Leeds is a beautiful and diverse campus with a large number of unique buildings with buildings styles including ‘Gothic revival, art deco, brutalist and postmodern’ (Wikepedia). 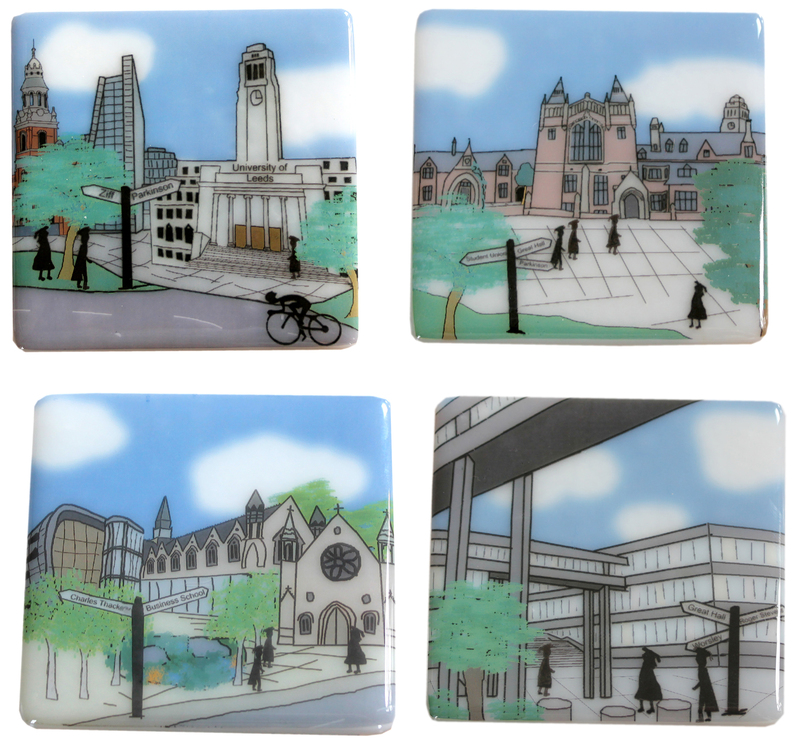 At the time this collection was created there were no images of the campus or uniquely Leeds University gifts available for purchase. 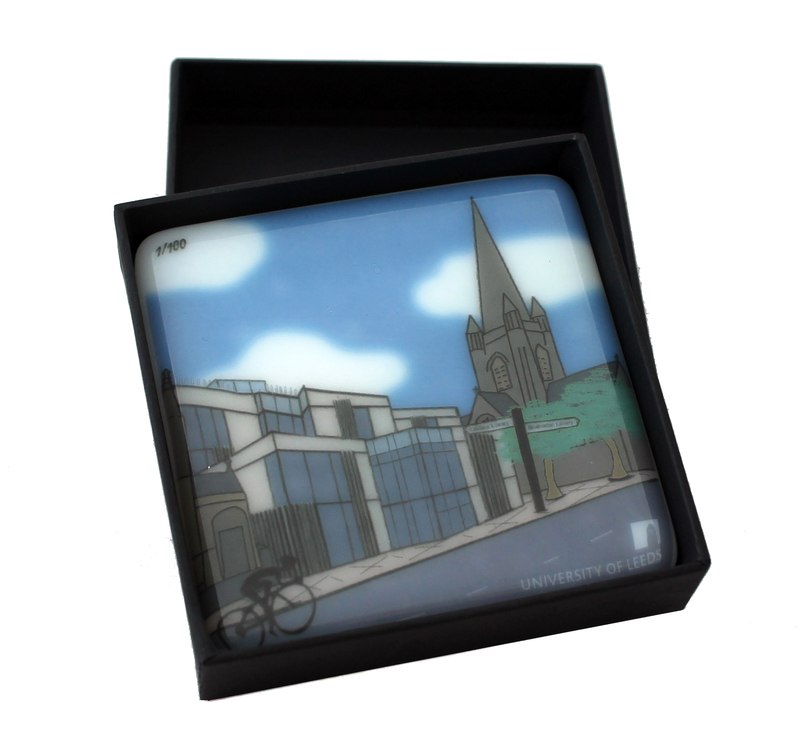 I worked with the staff at the University student union shop to create a range of coasters, keyrings and postcards depicting iconic buildings across the University campus. Originally intended as graduation gifts these have proved popular with students and staff and are now being purchased by University departments as gifts for international contacts. 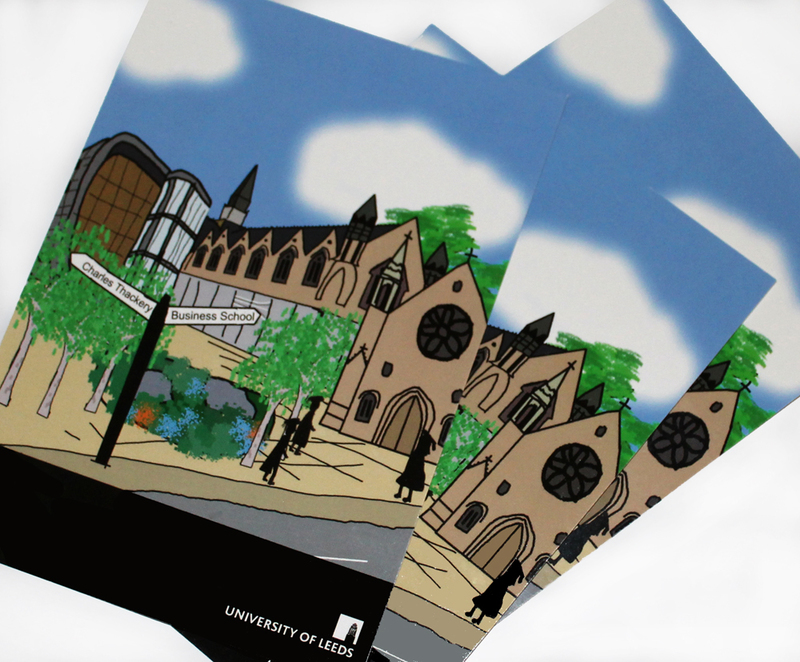 The latest edition to this collection is a limited edition image of the new Laidlaw library. The image was commissioned for a ‘Hard Hat Dinner’ previewing the new library to invited guests. The image incorporates the institutional logo and each coaster is individually numbered and boxed. Jane was fantastic to work with and the beautifully designed bespoke coasters were the perfect gift for our supporters – I have no doubt we’ll be working with Jane again in the future! I accept enquiries and custom orders and can work with you to create bespoke designs which could be applied to items of your choice. 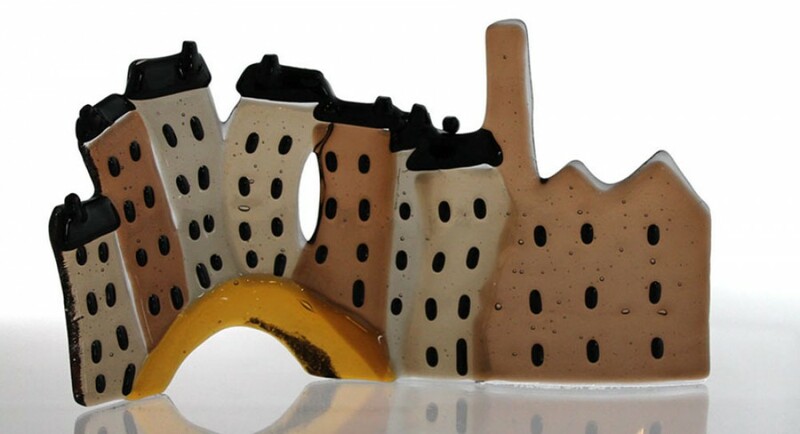 For more information please email me at jane@abundantglass.co.uk .